Mahan Law is dedicated to providing affordable, high quality, client-centered legal and professional services to businesses and individuals in the Northern Kentucky, Greater Cincinnati Area. We shall strive to serve as a primary resource and partner to our clients so as to inspire success, growth, and development. Client-centered is more than a phrase, but our way of doing business. We offer creative, practical, and effective solutions by thoroughly knowing our clients and understanding their unique needs. Our office is conveniently located in Bellevue, Kentucky (less than two miles from downtown Cincinnati), but we handle cases throughout the states of Ohio, Kentucky, and Florida. We also routinely meet with our clients at their offices or homes if more convenient. Attorney, Professor, Entreprenuer, and Small Business Owner. Anthony Mahan is an experienced litigation attorney licensed to practice law in Ohio, Kentucky, Indiana, and Florida. 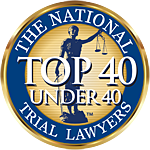 For the last few years Mr. Mahan has been representing businesses and individuals in various commercial litigation matters ranging from contract disputes to assault and battery cases. Mr. Mahan previously worked as a law clerk for Judge Karen Thomas, Campbell County District Court as well as a summer law clerk for Justice Wil Schroder, Kentucky Supreme Court. His previous experiences working with Judges and Justices has allowed him to be an integral part in several different areas of civil law. Mr. Mahan is also an Adjunct Professor of Entreprenuerial Law at Northern Kentucky University atop owning several small businesses. Anthony is married to Dr. Jennifer Mahan. Anthony and Jennifer own and operate Riverview Animal Hospital in Bellevue, KY (www.RiverviewPets.com). They reside in their home in Melbourne, KY. Respect Clients. Developing a strong attorney-client relationship is the cornerstone of success. Mahan Law will strive to know its clients, endear them with respect and professionalism. We will listen to you, not judge you. We will never ignore your concerns. We will communicate with you regularly and keep you up to date. Provide Value. At Mahan Law you are paying for quality legal services, not fancy decor, offices, support and adminstrative staff, marketing materials, or junior attorney's learning time. Instead we offer business expertise, litigation and judicial clerking experience, without large firm overhead. Most importantly, you will know that an experienced attorney is the one working on your matter and not a support staff member or junior attorney you may find working on your matter at a large firm. Be Efficient. We am results-driven, not fee driven. Often the most efficient means to reach a favorable result does not involve extensive litigation and expense. We strive to offer creative, practical, and effective solutions such as alternative dispute resolution when in the best interest of my client. We will not over-litigate a case, engage in duplicative or wasteful services, or lose sight of a favorable result. Provide Practical Advise. Sometimes what is right under the law is not practical for you or your business. Pratical advise means finding the favorable result that fits your specific needs, in your particular circumstance. Everyone is different, and what works for one client, may not be the best advise for another client.